Those who appreciate a prolonged lie-in can relate to the trauma of waking up to a missed breakfast opportunity. As breakfast is considered the most important meal of the day, it only makes sense that it should be served all day. These restaurants are drawing smiles from late sleepers everywhere by offering awesome all-day breakfasts, from fluffy scrambled eggs with perfectly pink salmon to French toast and traditional fry-ups with all the trimmings. Now a Tsogo Sun hotel, this is one of those buildings in Rosebank with an access door right on street level that makes you feel as if you’re staying in a swishy New York hotel. With the beautifully located restaurant on the upper floor with its outside garden and views over Johannesburg, it’s simply one of the best places to grab breakfast any time of the day. 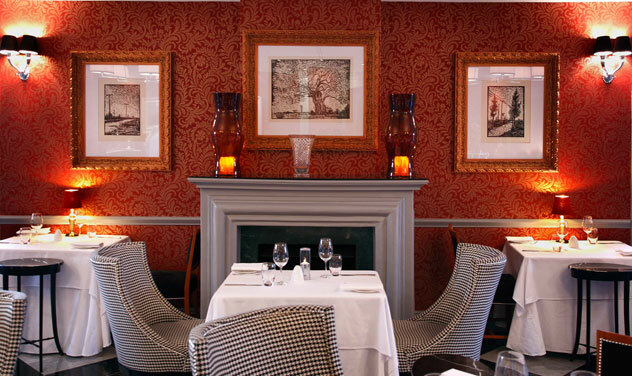 Executive chef Phil de Villiers makes sure that staff are well versed in snappy service. 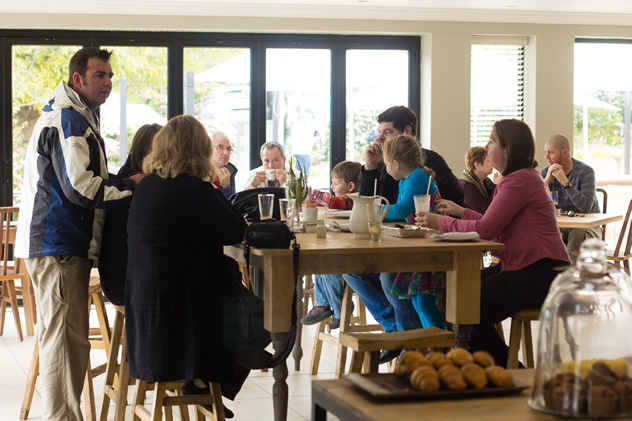 Apart from the classic continental, full or English breakfasts, expect some all-day winners such as scrambled eggs and smoked salmon with roe on wholewheat bread (R95); eggs Benedict served either with Parma ham or smoked salmon (both at R95); and kippers and poached eggs with a cream reduction and health bread (R95). The adjacent Veuve Bar serves amazing bubblies by the glass to add vim and vigour to your breakfast, regardless of the time of day. Apart from the fact that menu items are available anytime of the day, this unusual venue also offers a 24-hour delivery service – yes, that means breakfast any time of the day or night. The French stack (R68.50) includes French toast, bacon, cherry tomatoes, mushrooms, cheese and fries, and a bonus of a glass of breakfast juice. The three-egg open omelette with cheddar, toast and juice is a brilliant deal at R29.50, with the option to add extra toppings like roasted aubergine, Hickory ham, mince or smoked salmon for a charge. Catz Pyjamas. Photo courtesy of the restaurant. 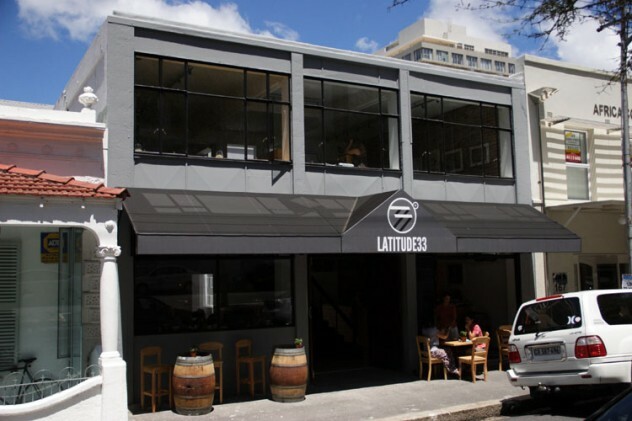 Situated in Juta Street, this is a delightfully quirky spot. 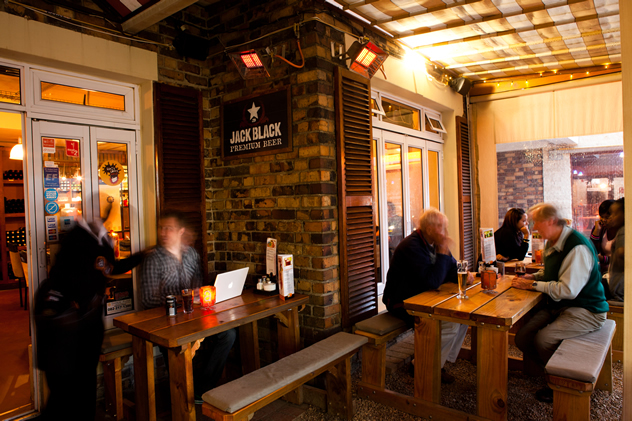 Their menu on hand-written blackboards offers a range of all-day breakfast items such as salmon trout served with scrambled eggs, capers, cream cheese and rocket (R55); the Bifteki breakfast, featuring scrambled eggs, a burger patty, relish and rocket (R55); and the grilled chickpea breakfast with two fried eggs, onions, tomato, rocket and pesto (R45). Post. Photo by Leon Krige. 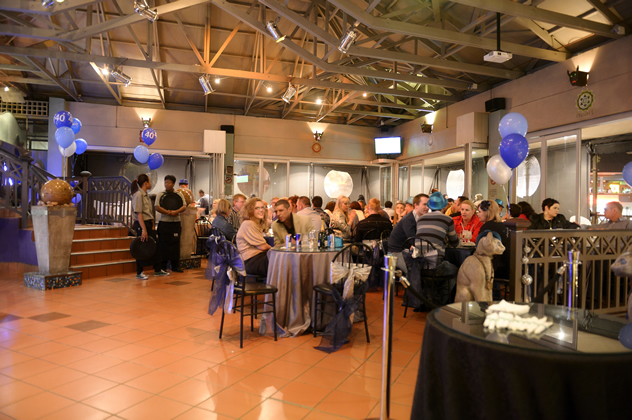 Located in the tranquility of the Lifestyle Home Garden Centre on Beyers Naude Drive (just 2km from the N1 highway), this busy multifunctional restaurant and party venue benefits from its verdant surroundings. The scrambled egg royale comes with smoked salmon and a butternut crisp salad (R69.95), but also try their oven-baked Haggerty, a traditional English dish with a twist consisting of sliced potato, cheddar, bacon, braised onion, tomato, mushrooms, cheese sauce and an egg for R57.95. This shop is where the tashas name was first established. On the breakfast menu, the Mariachi (R74) will blow you away: a toasted tortilla is served with scrambled egg, fresh chili, tomato, avo, coriander, parmesan and lime. On the classic menu available at all branches there’s Turkish fried eggs with yoghurt, hummus, spiced chickpeas, mint and Melba toast (R45), and the hummus toastie with rocket, avo, roasted vine tomatoes, feta, a poached egg and za’atar on toasted village bread (R58). This spot is always packed to the rafters, with several other would-be patrons waiting in the wings for a table. Apart from chic décor and appointments, the menu also allows you to savour a typical French baguette et café (a very French bowl of coffee served with baguette, for R48) that will transport you straight to the streets of gay Paris. The Billionaire’s Eggs, made by topping scrambled eggs with parmesan shavings, caviar and truffle oil (R74), and a number of other lovely breakfast items are available at any time of the day. tashas le parc. Photo courtesy of the restaurant. 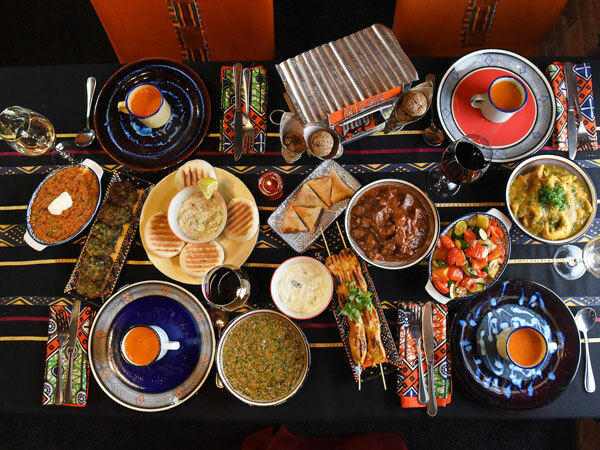 All the different Tashas branches, including the newly opened international branch in Dubai, offer two menus: a classic menu that is the same in all the branches, and a branch-specific menu. The Morningside branch offers a sweetcorn fritter breakfast served with avocado, bacon and roasted cherry tomatoes (R84), while the classic menu promises a delightful all-day option consisting of polenta with crispy bacon, mushrooms, poached egg, a hint of chilli and parmesan shavings (R58). 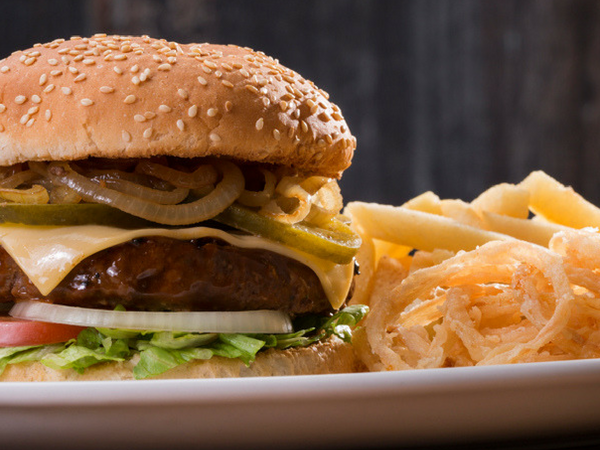 Try the Wall Street Bagel filled with egg mayo and crispy bacon (R64), or from their classic menu, order the Steak Stack (sirloin R82, fillet R92) consisting of 150g steak, grilled onions, sliced mushrooms, grilled tomato and an egg – which sounds perfect for any time of the day. For those with a more traditional mindset, Pain Perdu (brioche French toast with berries, mascarpone and crème anglaise, for R65) could be enhanced with a portion of crispy bacon or macon. tashas Rosebank. Photo courtesy of the restaurant. Tuck into artisan breads and pastries warm out the oven or peruse the breakfast menu for irresistible options like buttermilk hotcakes with blueberries, mascarpone cream and lemon zest (R52) or the breakfast basket, which consists of a toasted croissant pastry filled with fresh salmon, spinach and a poached egg (R60). This artisanal eatery is where you need to go if the craving for seriously good eggs Benedict kicks in. Theirs comes with a lemony, handmade Hollandaise (made to order) and their in-house cured bacon (R70). For something a little more traditional but with a creative spin, try their sweetcorn breakfast with poached eggs, sweetcorn purée, roasted tomatoes and bacon on homemade sourdough toast (R45). A simple selection of all-day breakfasts is available at this popular eatery. The Big Deal Breakfast (R55) includes honey-kissed bacon, pork sausages, eggs, tomatoes, mushrooms and toast; and croissants are filled with everything from bacon and scrambled eggs (R50) to smoked salmon, dill-infused cream cheese and fresh cucumber (R58). Isabellas has one of the biggest ranges of breakfasts on offer and you are guaranteed to find something for every palate. 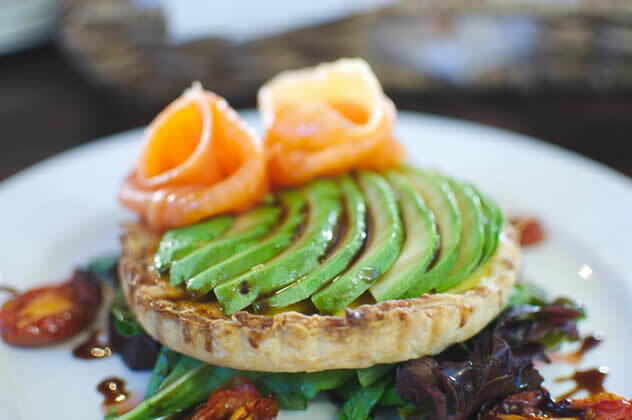 Not only can you design your own omelette or full breakfast, they have a selection of scrambled egg dishes (R38-R85) to drool over, as well as a selection of creative breakfasts. The poached eggs served on a bed of spinach, onion and mushrooms with creamy Danish feta and a side of seed toast (R42) is a firm favourite. Isabella’s Cake and Food Shop. Photo courtesy of the restaurant. If you’re in the mood for eggs, Knead’s selection is sure to satisfy. Choose to have your eggs scrambled, poached or fried and have them with slow-roasted tomatoes and Norwegian salmon (R80); creamy spinach and pan-seared tomatoes (R55); or slow-roasted tomatoes, bacon and mushrooms (R55). If you’re after something sweet, their brioche French toast with Nutella (R40); pan-fried fruit, honey and crème fraîche (R48); or cinnamon sugar, honey and lemon (R35) is the way to go. Pure offers a great range of breakfasts from the Big Boy breakfast of eggs, bacon, lamb sausages, balsamic-roasted tomatoes and toast (R68) to the creative Breakfast Pizza, which is a toasted bagel topped with grilled tomatoes, mozzarella, basil pesto, bacon and fried eggs (R63.50). For something lighter, try their Rosy Cheeks breakfast of homemade muesli with nuts, plain yoghurt, fresh seasonal fruit and a drizzle of honey (R57.50). 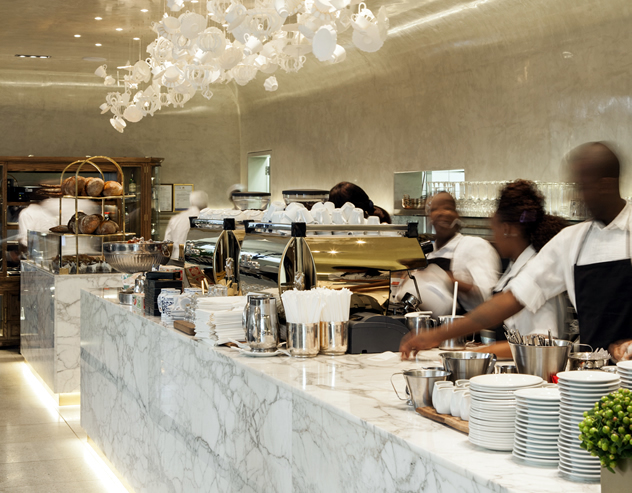 tashas (Design Square). Photo courtesy of the restaurant. 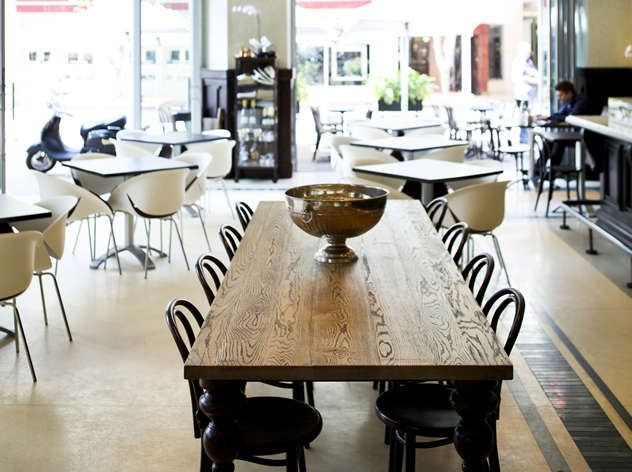 As with all the dishes at tashas, you can expect a lot of simple but delicious flavours with their breakfasts. The Breakfast Royale with poached eggs on top of asparagus or wilted spinach and either polenta toast or seed loaf (R62) is a crowd favourite and the Pain Perdu (R65) of brioche French toast with berries, mascarpone and crème anglaise is the ultimate breakfast treat. 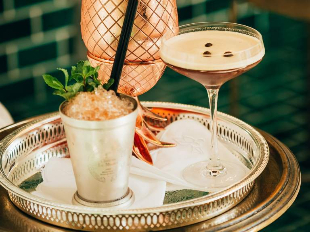 Boiler Room Café manages to lift comfort food to a new level with subtle touches of gourmet brilliance. Think duck and potato hash with spring onion and fried egg (R75) or a boursin and black pepper omelette with chives and lemon-dressed greens (R69). Weekend brunch specials like braised pig cheek with crumpets and maple bananas will leave you weak at the knees. We also love the simplicity of buns with breakfast fillings like pork sausage and rosemary caramelised onion (R42) or grilled mushroom, cheese and egg with basil mayo (R38). 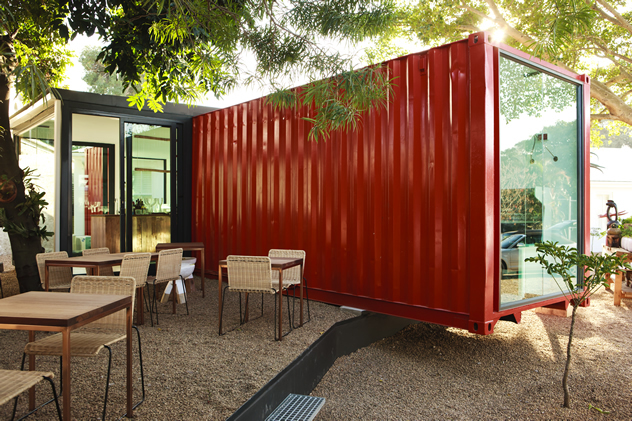 Freedom Café dishes up breakfast in a cosy converted container or alfresco, where tables are prime real estate. Try a grilled cheese sarmie made with local cheddar with pear and bacon marmalade toasted between slices of milk bread (R58) or, when available, the breakfast tart of buttered kale, bacon and tomato ginger jam topped with a soft poached egg and served in a pastry case (R58). The zucchini fritters with a touch of nutmeg are served on a bed of rocket and mushrooms then covered in parmesan cream (R65). Freedom Café. Photo courtesy of the restaurant. 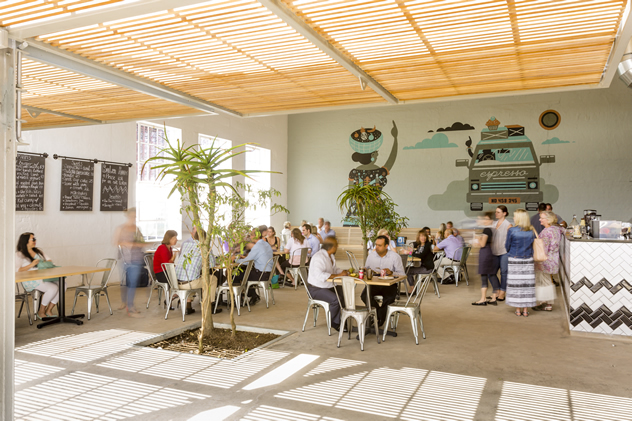 Market is an off-street hideaway where happy diners take refuge in beautiful courtyard presided over by leafy leopard trees. Vegetarians can opt for courgette and corn fritter with crème fraîche, rocket and roasted cherry tomatoes (R50) or cinnamon and banana hotcakes (R47). Equally appealing are the potato rösti with smoked salmon, crème fraîche and organic poached eggs (R78), and croissant French toast with lemon curd and streaky bacon (R60). Look out for the delicious freshly squeezed juices that change daily. Parc is an unassuming neighbourhood eatery that offers an inspired breakfast menu that includes arguably the best Benedict in town. Called Not-So-Benedict, their rendition sees potato and rosemary bread topped with bacon or mushrooms and a poached egg, then drizzled in lemon Hollandaise and topped with capers (R70). 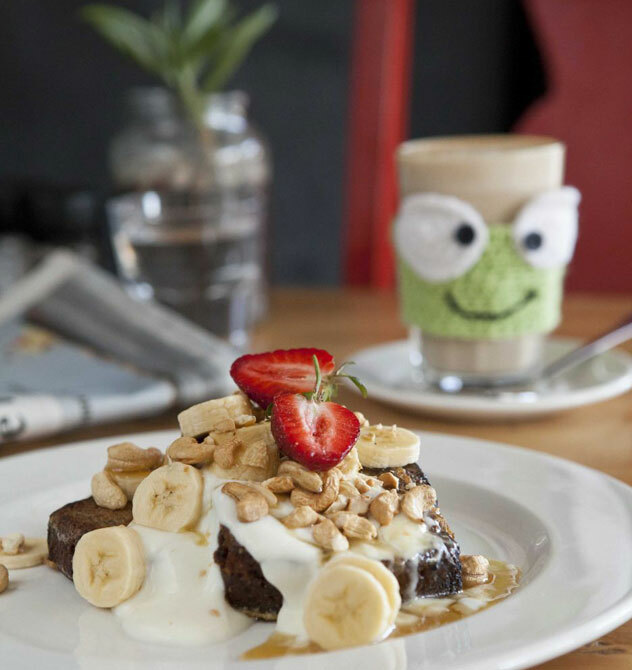 For a touch of decadence, try the oats and spiced fruit compote with pouring cream (R35) or the banana bread French toast served with toasted cashews, bacon, fresh banana and honey (R65). Breakfast at Parc Cafe. Photo courtesy of the restaurant. Stretta serves breakfast to 3.30pm and, let’s be honest, not many people require breakfast thereafter. 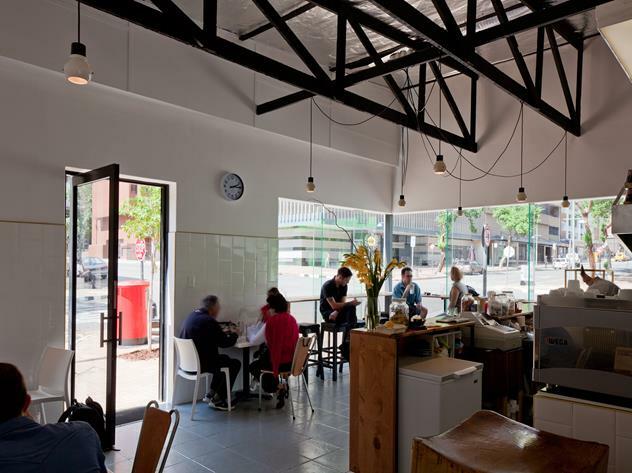 This bustling café’s menu is dominated by panini, plates, omelettes, frittatas and pans, although you can also order the likes of oats and homemade muesli. Tuck into Welsh rarebit served with crispy bacon (R55); marinated mushroom, feta, onion and chilli frittata (R55); or a pan crammed with chorizo, cherry tomatoes, bacon and eggs and served with tomato salsa and toasted homemade bread (R60). What is breakfast without coffee? Stretta is exclusively supplied with Lineage coffee, the brand owned by Craig Charity, who was the 2014 South African champion barista. Breakfasts revolve largely around the delirious joy of baked goods. Succumb to comforting carbs and sink your teeth into a freshly baked croissant (R30) or toasted artisan bread (R29). 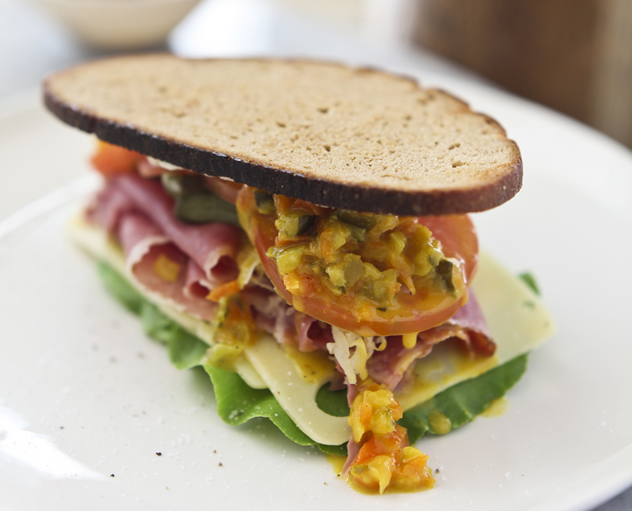 Gourmet-style breakfasts include two poached eggs and crispy gypsy ham on toasted ciabatta topped with coriander aioli and served with roasted rosa tomatoes (R48). We also love the sourdough toast with avo, Danish feta and a poached egg offset with the freshness of rocket and lemon-infused olive oil (R54). A great selection of all-day breakfasts awaits, including sweet options like Carol’s French toast with pickled ginger, peaches and mascarpone cheese; and classic eggs Benedict with bacon. The free-range breakfast lite is the perfect option for the end of the month and includes scrambled free-rang eggs served on an English muffin with baby tomatoes and basil pesto (R20). Arnold’s restaurant. Photo courtesy of the restaurant. Cape Town’s very first ‘baconporium’ serves naturally, ethically farmed bacon of exceptional quality in every dish on their menu. (Yes, even the chicken wings.) Try a traditional bacon butty with homemade ketchup or The Yank, an über-buttery croissant spread with macadamia-honey butter and crammed with crispy bacon rashers. Breakfast is served from 8am to 4pm and includes everything from warm croissants and stuffed omelettes to a classic egg sandwich. The bestsellers include the hash eggs, which consist of crispy potatoes with toasted cauliflower, peppers and spring onions with two poached eggs, Hollandaise and pea shoots (R58); and the huevos rancheros, which is a serving of refried organic black beans on butter-fried toast with two eggs, pico de gallo, coriander, avocado and homemade queso fresca (R58). Clarke’s Bar & Dining Room. Photo courtesy of the restaurant. The breakfast menu is available until 3pm and includes hearty options like French toast with bacon and maple syrup (R59) and a croissant with two poached eggs, gypsy ham, avocado and hollandaise sauce (R75). This cosy, hip little space with a carefully curated collection of clutter serves all-day eggs Benedict with a glossy, well-executed Hollandaise. The chalkboard menu is updated regularly, but the huevos rancheros tortilla filled with two fried eggs, chilli beans and mince is a staple favourite (R65). 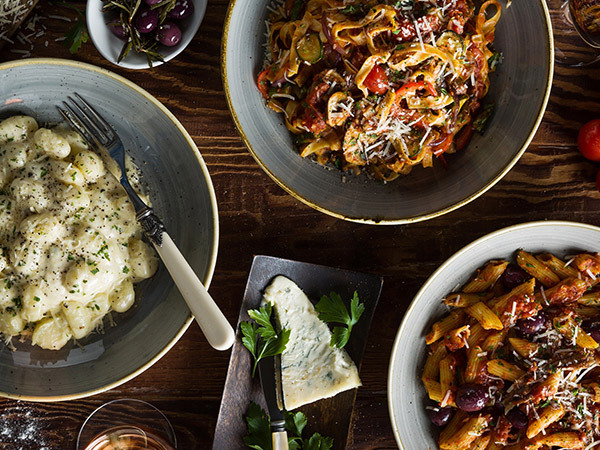 A selection of scrambled egg variations arrives with appetising accompaniments like bacon, balsamic caramelised tomato and bruschetta, or a more classic option like pork sausage, mushrooms, caramelised tomato and bacon with toast. Empire Café. Photo courtesy of the restaurant. 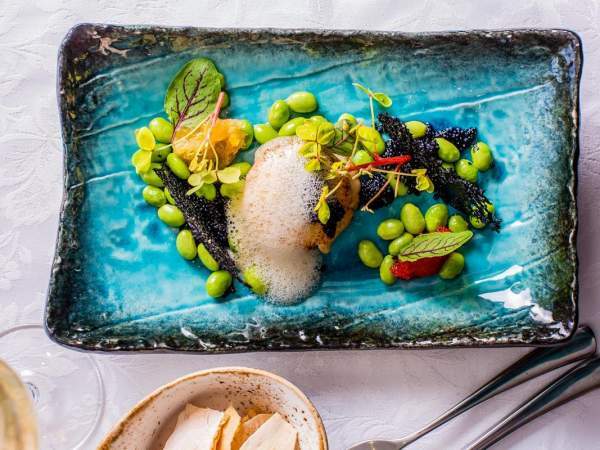 Savour gourmet breakfasts like the oriental eggs Benedict, which consists of pan-fried exotic mushrooms topped with two poached eggs, an Indonesian-umami Hollandaise, sesame-crusted bacon, buttery edamame beans and a drop of sesame oil (R88). Another top choice is the beer-battered apple and bacon flapjacks served with a pecan and apple streusel, cinnamon caramel sauce, a creamed apple-butter mascarpone and maple-glazed bacon (R82). Vegetarians can veto the bacon and enjoy this breakfast for R65. Four & Twenty Café. Photo courtesy of the restaurant. Breakfast is served from 8am to 6pm everyday and the generous menu includes everything from flapjacks with banana and honey (R32) to the ever-popular eggs Benedict with bacon (R69). 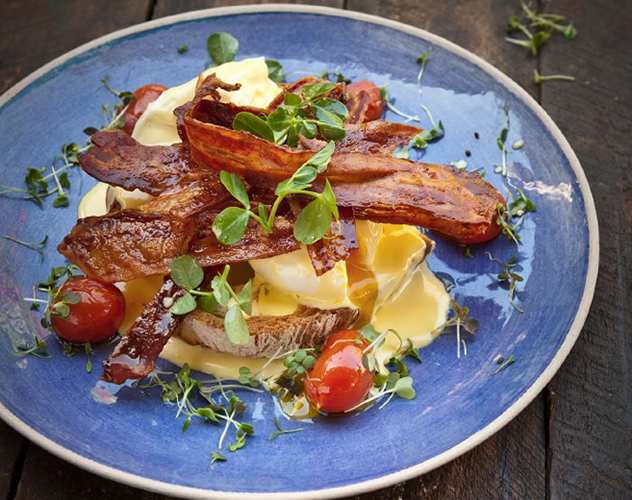 Choose from an array of all-day breakfasts, which include everything from the popular eggs Benedict with bacon (R59) or smoked salmon (R90) to brioche French toast with crispy bacon, fried mushrooms and homemade chunky tomato sauce (R58). Fresh fruit salad, cheese and jam boards, and sweetcorn fritters are also on offer. 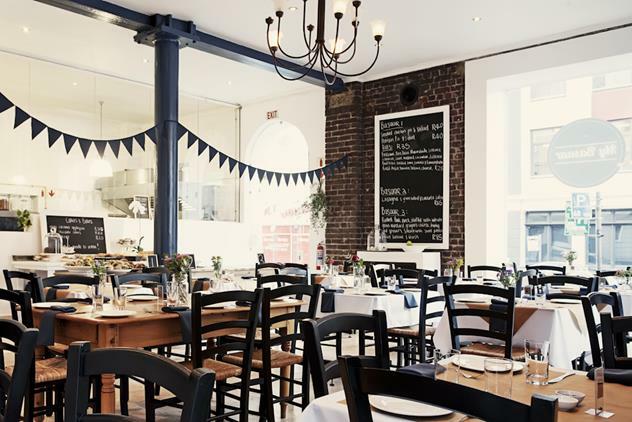 Hearty breakfasts are available from 7am at this Bree Street eatery, including classics like eggs Benedict, oats with cinnamon-roasted apples and toasted almonds, and French toast. A crowd favourite is scrambled eggs with Norwegian salmon, cream cheese, fresh rocket and chives (R75). Latitude 33. Photo courtesy of the restaurant. 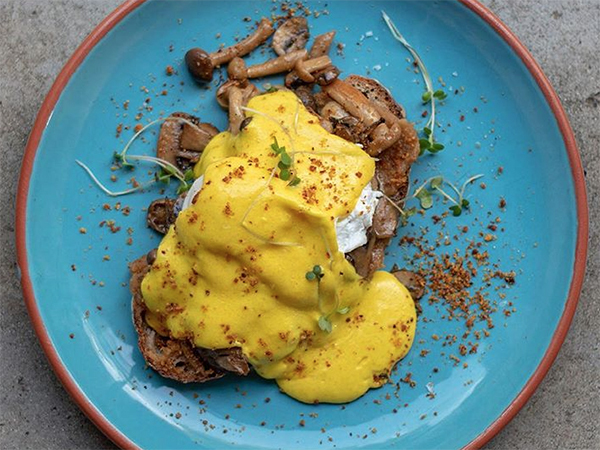 This tranquil neighbourhood café is best known for whipping up a mean eggs Benedict topped with their signature creamy homemade Hollandaise sauce. Choose between bacon and ham (R62) or fresh salmon (R69). A blackboard menu features daily specials, which could include anything from halloumi with mushroom, avocado and spinach to the omelette of the day. 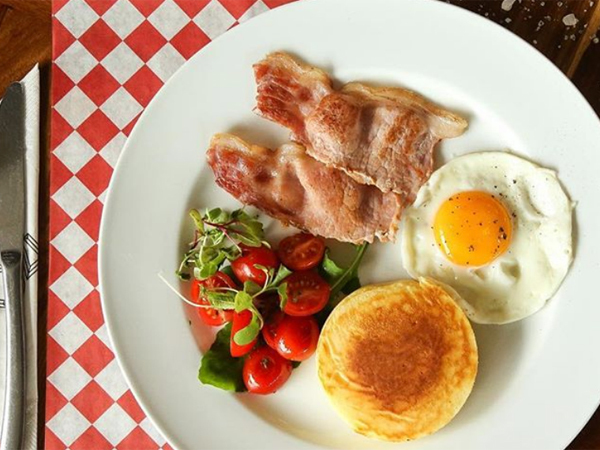 A mouth-watering menu of all-day breakfasts at My Basaar features the popular R48 breakfast special, which consists of crispy bacon, eggs, homemade bread, preserves and a frothy cappuccino. Another highlight is their fluffy omelette filled with basil pesto, Danish feta and fried cherry tomatoes and served with toast and homemade jam (R59). My Basaar. Photo courtesy of the restaurant. 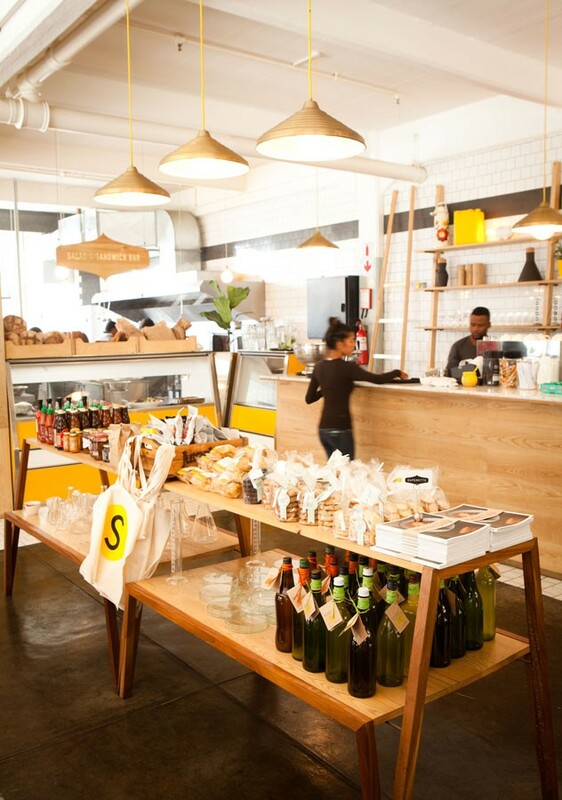 Complement your Origin coffee with a bite from their breakfast menu, which includes everything from classic eggs and toast with cherry tomatoes and your choice of 60% rye bread, sourdough or a bagel (R35). Extra toppings range from R10 to R35. LCHF fans will love the banting Benedict featuring two poached eggs drizzled with homemade Hollandaise and served on two giant portobello mushrooms flavoured with natural black-bean soya sauce and stuffed with spinach and house-made ricotta (R90). The Porridge of the Gods comes highly recommended and consists of aniseed-and-cinnamon-spiced oats topped with seasonal fruit (R55). Other highlights include raw muesli with grated apple, Greek yoghurt and a dash of cinnamon (R65); and soft scrambled eggs with ciderhouse rye or country sourdough bread (R45). Alternatively, complement your scrambled eggs with slow-roasted tomato and basil (R50), salmon and avocado (R75) or prosciutto (R70). Pop in for their popular poached eggs breakfast, which includes sourdough with Hollandaise sauce, bacon, courgette ribbons, goat’s feta, toasted seeds and lemon-dressed greens (R65). Other options include homemade cranberry granola with yoghurt, nuts, seeds, honey and fresh fruit (R55), toasted banana bread with brown sugar butter (R30) and more. Superette. Photo courtesy of the restaurant. A wealth of breakfast options will pick you up any time of the day, including fluffy free-range scrambled eggs, French toast and decadent filled croissants. Try the scrambled eggs with smoked salmon trout, chives and a dollop of cottage cheese (R96) or the mascarpone French toast with mixed berries or Italian cherry preserves (R66). Complement your freshly roasted coffee with a serving of savoury mince on toast with tangy cheese and tomato (R48) or the brand new banting hotdog breakfast, which consists of a frankfurter sausage wrapped in an omelette with cheese and homemade tomato relish (R58). Enjoy hearty breakfasts with a Spanish twist. Try the huevos rancheros eggs served on homemade tortillas with borracho beans, cheddar, and streaky bacon or pan torrejas custard toast with maple syrup-infused berries and streaky bacon. Cosecha Restaurant. Photo courtesy of the restaurant. While options like French toast banana loaf (R60) and eggs Benedict (R70) are sure to please breakfast lovers, the team at Lust Bistro recommend the salmon Florentine, which arrives with two poached eggs, smoked salmon, wilted baby spinach, chardonnay-Hollandaise sauce and flash-fried capers (R90). Lust Bistro and Bakery. Photo courtesy of the restaurant. Enjoy an array of breakfasts from 6.30am to 4.30pm on weekdays, including the Bud Spencer, which arrives with two fried eggs, bacon, grated cheddar cheese and baked beans on toast (R45), and the banting-friendly egg baconnaise, which includes two poached eggs and bacon drizzled with ‘baconnaise’ sauce and served on two aubergine röstis (R55). Banting pancakes and flapjacks made with coconut flour and eggs are also on offer. Kickstart your day – any time of the day – with Ya-Ya’s signature eggs Benedict with poached eggs, ham, spinach, feta and orange-Hollandaise sauce (R58). While we take care to ensure the accuracy of our information, please note that some deals and details may change without our knowledge. 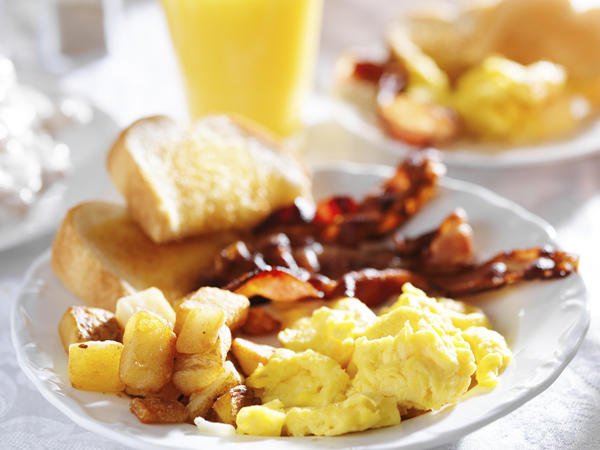 Know about a fabulous all-day breakfast you think we should add to the list? Let us know in the comments section below and we’ll investigate. Melrose Arch Hotel has the BEST breakfast or brunch in town. In Pretoria: Carlton Cafe( Menlopark), Afro- Boer( Lynnwood). Good breakfasts can be had at the most unlikely places. I had to go for a procedure at Vincent Pallotti Hospital and had been starved for 36 hours. When it was over I and my companion went to the coffee shop thinking that just sandwiches and coffee were available. When we said that we wanted to sit down we were brought the menu. I had eggs Benedict with salad and my friend bacon and cheese toasted sandwhich with chips. The chips were thin and crispy and enough for both of us to enjoy. The service was excellent, the price reasonable and the meal delicious. An unexpected pleasure. The EatOut is totally useless as a guide for any person living in the Northern suburbs. 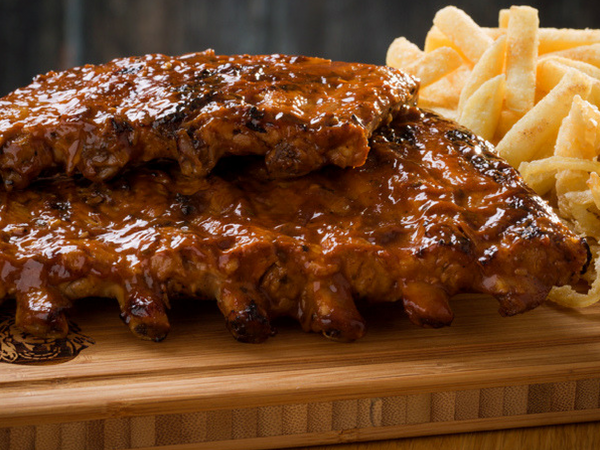 It is as though the Northern suburbs does not exist for Eatout. 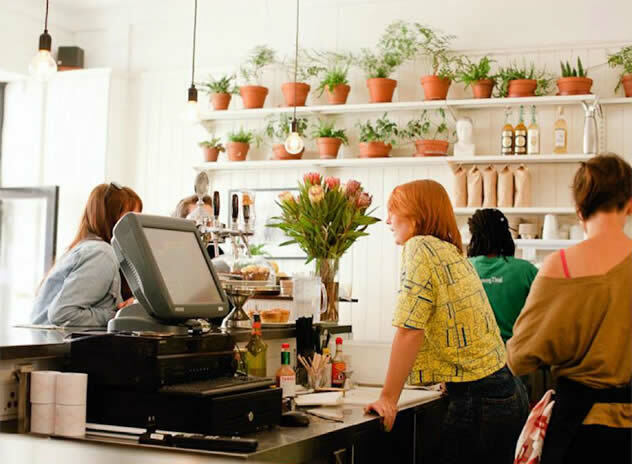 It would be great if you would consider restaurants outside of Cape Town, Joburg and Durban. The Food Fundi in Nelspruit is a real gem, run by a Prue Leith graduate who is a Lowveld boy. Just check their Trip Advisor reviews! The produce is locally farmed, from the honey to the trout and the chicken, and their all-day breakfasts are seriously a treat. 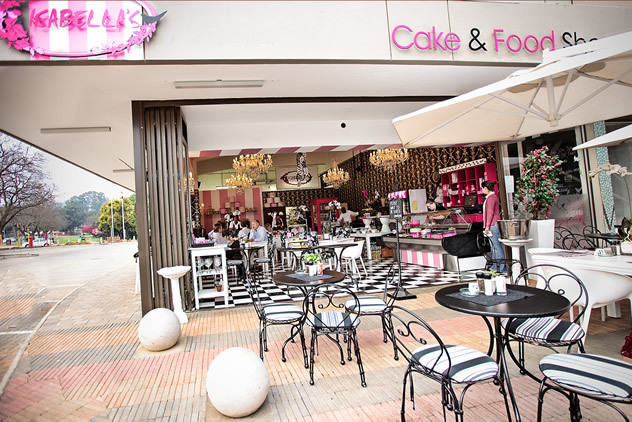 Foood Cafe in Cresta has great breakfast all-day breakfast (divine eggs benedict!) and their food is always amazingly fresh. Thanks for the tip, Justine! In Pretoria, except for Tasha’s, none of the restaurants are open on Sunday. As an American, I’m not used to that especially for brunch! Also, Knead in Hazelwood at the Club, is out of business.